The police is a force to protect justice and order for society. In contrast, thieves are who make chaos. This is a bad profession condemned by the whole society, but a successful mission will bring a lot of money. Of course, you are not allowed to do so in real life. However, in Snipers vs Thieves, the battle between police and thieves becomes more interesting than ever. This great game of PlayStack publisher lets you take part in an exciting battle with online players around the world. In this game, you can be a cop, can also be a thief. Why? Check out this game below. The beginning of the game reminds me of the opening sequence in The Dark Knight. A group of bandits consisting of four masked people ran out of the bank with the spoils in hand. Each member is free to move, as long as they have to reach the waiting vehicle as soon as possible if they want to be safe. Unfortunately for them, a sniper is on a high-rise building ready to take them down at any time. Four super thieves wearing masks and a sniper, who will be the winner? Like in Horrorfield, you will get a match game with 4 other online players. In this game, you get to choose between either Sniper or Thief. Note that Sniper only has one and team thief has four members. In Sniper position, your way of playing is like a classic shooting game. You use a sniper rifle, try to really aim the thieves and defeat them. Need two bullets to take down a thief or just need one bullet if you headshot him. So, I recommend you practice the headshot habit if you like to play as Sniper. Besides, shooting into the thief’s pocket makes them lose a large amount of money. The blue arrows on the screen indicate the locations that may be the thief’s hideout, so you should pay attention to this. Sniper role is nothing too special. For me, the most interesting thing in Snipers and Thieves is in the Thief position. You and three teammates will move to the car at the end of the road. The distance is quite far, in return you have a lot of positions to hide. 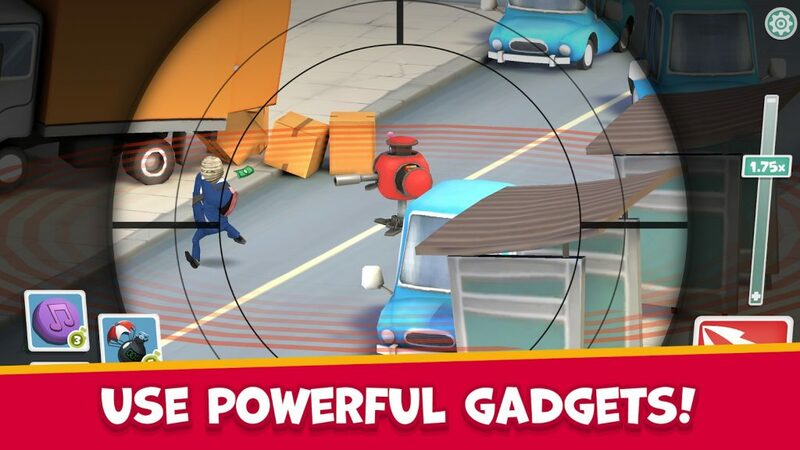 Not only running, but the thieves in this game also have a lot of special skills of a “super” thief, such as acrobatics, creating illusions and dummies to fool Sniper. The bottom line is that you need a specific tactic to attract sniper attention. At least one thief needs to bring the money to the car. If a teammate has been defeated, the remaining people can pick up the dropped money and continue moving. The points you get correspond to the amount of money you successfully robbed, so try to bring as much money as possible. Even if your competitor is a good sniper, he can’t aim four people at once. If you realize sniper is watching other people, quickly move to the next position. Snipers vs Thieves have many types of sniper rifles, ammunition, explosives for Sniper. With Thief, you can also increase HP and agility or unlock some special skills such as acrobatics, creating a dummy. In the latest version, the game offers you a lot of new weapons and equipment such as Triggered Explosives, Air Strike, Rail Gun, … Besides, there are some of Thief’s skills like Vampire Run, Buddy Speed, and the most popular skill: teleport. 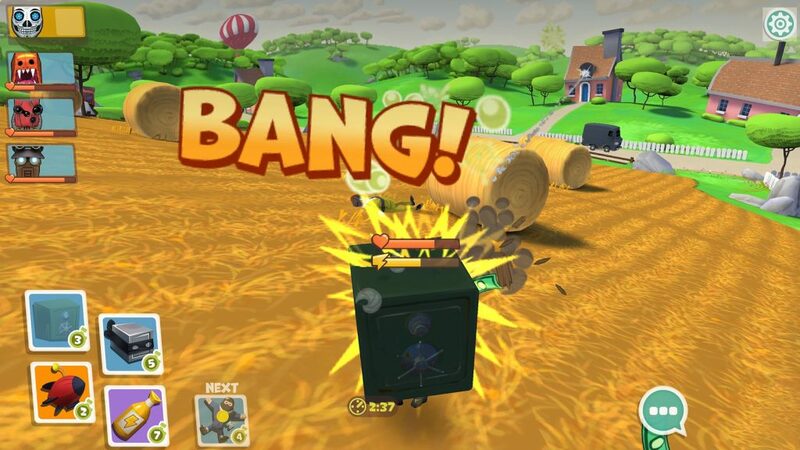 Besides fun and addictive gameplay, Snipers vs Thieves also possess beautiful 3D graphics and great visual effects. High image quality, sharp images and lots of colors. The way of designing characters is also very special and funny like a cartoon for children. Overall, Snipers vs Thieves is a not-so-excellent game, but its fun can give you happy moments after a hard day’s work. Besides, playing with friends on weekends is also not a bad idea. 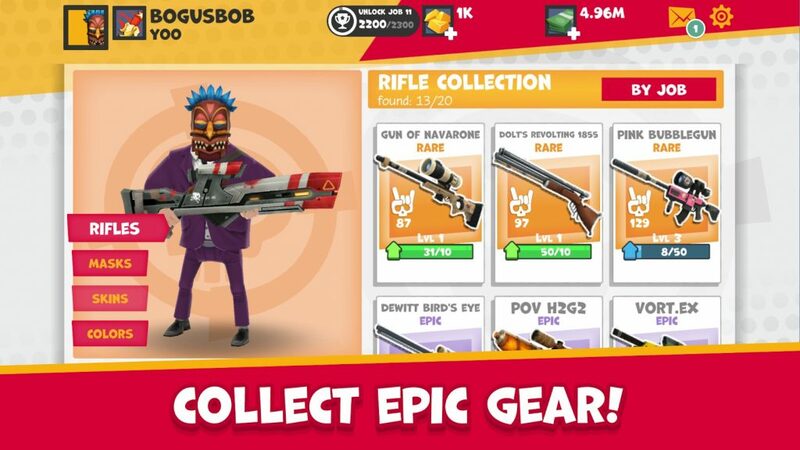 Snipers vs Thieves MOD APK is ready to download! 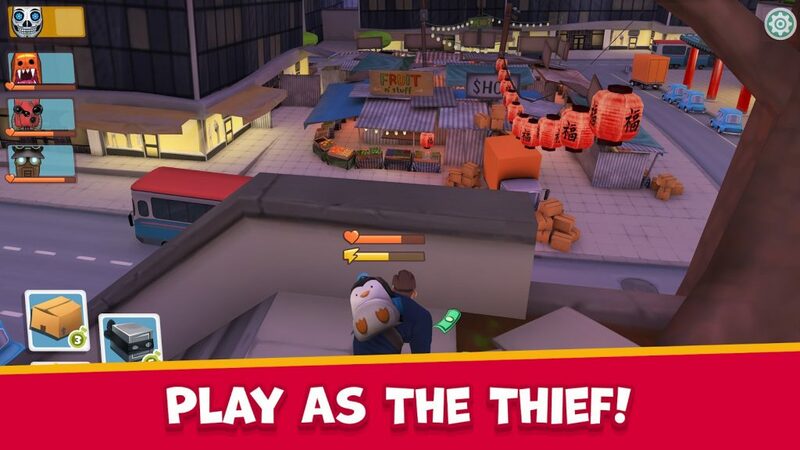 Depending on your needs, you can download Snipers vs Thieves MOD APK or Snipers vs Thieves Original APK. Or install from Google Play / App Store if you want.